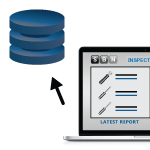 SBN has created equipment management software that allows an organization to track their equipment and tool inventory with their mobile devices. This tool tracking software leverages the scanning capabilities built into mobile smart devices and is barcode driven, although it works equally as well without a barcode system. From the field, users can scan the equipment or the tools with their mobile smart device, pull up the attributes and history associated with the item and make edits or adjustments to the item. We can also configure our mobile equipment tracking software for loaning equipment or tools out. The principle is fairly straight forward. Equipment and tools all have various attributes associated with them like the owner, location, next inspection date, next maintenance date, etc. These can be programmed in from the mobile device or from a traditional computer. Pending inspection or maintenance dates will trigger notification to help keep those on track. Other information can be verified in the field simply by scanning the barcode and comparing information in the database to the reality in the field. Any mismatches can be updated on the spot.